Table 1. Comparison between Aedes aegypti and Aedes albopictus. Table 2. Experimental drugs for the treatment of CHIKV disease. Chikungunya is an arthropod-borne virus transmitted by Aedes mosquito bites. A viral mutation has allowed Aedes albopictus to become the preferred vector extending the geographic spread of the condition. The virus causes an acute febrile illness occasionally followed by a chronic rheumatic condition causing severe impairment. The diagnosis is usually confirmed with serology. No specific treatment is currently available. This article reviews the condition with emphasis on his dissemination in the Americas. Chikungunya virus has disseminated widely and autochthonous cases have already been reported in the Americas. Although the disease tends to be self-limited, a crippling chronic condition with severe joint compromise can affect patients for weeks to months. Health practitioners need to be acquainted with the manifestations, diagnostic methods and treatment options for this formerly “exotic” condition. CHIKV persists in nature using two cycles: a sylvatic cycle affecting primates and mosquitoes and an urban cycle affecting humans and mosquitoes (Fig. 1). Life cycle of the Chikungunya virus. Although there is an ample range of Aedes species that transmit the disease in Africa5; in Asia and in the Indian Ocean the main vectors of CHIKV are Aedes aegypti and Aedes albopictus. A. albopictus has a wider geographical distribution, and can survive in both rural and urban environments. Mosquito eggs are quite resistant to dry seasons. A. albopictus also has a relatively long life, lasting 4–8 weeks and has a flying range of 400–600m.6 All these capabilities have allowed A. albopictus to become an important vector not only of CHIKV, but also of dengue and other arbovirosis. A comparison between A. aegypti and A. albopictus is presented in Table 1. Comparison between Aedes aegypti and Aedes albopictus. In Brazil, an extensive DDT campaign eradicated A. aegypti from the country in the 1940–50s, however the vector was reintroduced in 1970 and become widespread again. Since 1986 it has been considered endemic in several major Brazilian cities. A. albopictus invaded Brazil in the 1980s and a recent survey has detected it in at least 59% of the Brazilian municipalities and in 24 of the 27 federal units7,8A. aegypti affects predominantly tropical areas of Brazil (North, North-East and Central regions) and is more widespread, whereas A. albopictus is more common in the cooler Southern areas of the country. Both vectors combined put 99% of the population of Brazil at risk of acquiring CHIKV.9Fig. 2 shows the geographic distribution of Chikungunya virus in the Americas. Chikungunya in the Americas. In red: countries with endemic transmission with more than 1000 cases reported. In orange: Countries with endemic transmission with more than 1000 cases reported. In blue: Countries or States with imported cases only. Without color: Countries or States with no transmission reported. CHIKV is transmitted predominantly by female mosquito bites. Alternatively the disease can be transmitted vertically from mother to fetus or theoretically by blood transfusion (although no cases have been reported so far). Hemorrhagic manifestations are rare; however gingivorrhagia, epistaxis, hematemesis and melena have been described in old case series.21 Abnormal bleeding, milder than the one seen in dengue fever, has a predilection for children. In the other end of the spectrum, seropositive patients without clinical manifestations have also been identified. Cases of dengue (including the hemorrhagic presentation) and CHIKV coinfection have been described (as they share the same vector) however no coinfection with yellow fever has been reported yet. Like any other vector transmitted disease the propagation of CHIKV depends on characteristics of the vector, the host and the environment. Currently there is no specific therapy approved for CHIKV disease. The only therapeutic option is symptomatic relief. Hydration and electrolyte balance should be optimized. Paracetamol 1g three to four times a day in adults; or 50–60mg per kg body weight per day in divided doses in children; is the treatment of choice for fever, headache and/or pain according to the World Health Organization.48 Other non-steroidal analgesics are also usually recommended for pain control; however aspirin should be avoided to prevent further platelet dysfunction. In crippling cases corticosteroid use has been advocated, although there is not enough scientific information to support their use.49 French investigators who have experienced the devastating outbreak in the Reunion Island advocate use of tumor necrosis alpha inhibitors for chronic cases that fulfill the criteria for rheumatoid arthritis or seronegative spondyloarthropathy, but no supportive evidence exists beyond expert advice. Ribavirin is a purine nucleoside analog currently used in the treatment of hepatitis C. A small study that enrolled 10 patients using ribavirin 200mg orally twice a day for 7 days showed improvement in arthralgia and returned capacity to ambulate. Unfortunately the study used non-blinded comparators and it was too small to reveal meaningful results.50 In theory combined use of ribavirin and type I interferon alpha may show a synergistic effect. Experimental drugs for the treatment of CHIKV disease. Reduction of peridomiciliary water puddles and containers may prevent mosquito proliferation. Travelers to endemic areas need to be educated about their risks, precautions and symptom recognition. The OX513A strain of A. aegypti is composed by radiation sterilized male insects. A study of the release of these agents in a suburb of Juazeiro, Bahia, Brazil demonstrated a reduction of 95% of the local A. aegypti population in one year. The Sterile Insect Technique (SIT) is a genetic control system that seems promising as a mean of vector control.60 Its use, among public controversy, has been imitated in Key West, the most southern region of the United States. There is no vaccine currently available to prevent CHIKV infection. An ideal vaccine, should be of low cost, highly stable (as it will be predominantly administered in developing countries), administered in a single injection and able to stimulate rapid protection. In the last 2 years two vaccines have been tested in Phase 1 trials in humans: a live recombinant measles-virus-based chikungunya vaccine and a virus-like particle chikungunya virus vaccine (VRC-CHKVLP059-00-VP). Both of them were immunogenic, safe and well tolerated.62,63 More advanced phase II/III trials are hampered by the sporadic nature of the infection, which makes planning and approval of clinical trials quiet challenging. A single vaccine has been tested in phase II trials. This was a serially passaged, plaque-purified live Chikungunya vaccine produced by the United States Army Medical Research Institute for Infectious Diseases (USAMRIID). The vaccine was injected subcutaneously and compared in a double-blinded randomized study with placebo. Ninety eight percent of recipients developed neutralizing antibodies (which persisted in 50% of cases for more than a year). The vaccine was safe and the only difference with placebo was more frequent arthalgia.64 Despite the promising results further clinical development was aborted in 2000 due to the lack of commercial interest. A.H. Khan, K. Morita, C. Parquet Md Mdel, F. Hasebe, E.G. Mathenge, A. Igarashi. Complete nucleotide sequence of chikungunya virus and evidence for an internal polyadenylation site. F. Simon, H. Savini, P. Parola. Chikungunya: a paradigm of emergence and globalization of vector-borne diseases. A.M. Powers, A.C. Brault, R.B. Tesh, S.C. Weaver. Re-emergence of Chikungunya and O’nyong-nyong viruses: evidence for distinct geographical lineages and distant evolutionary relationships. M. Diallo, J. Thonnon, M. Traore-Lamizana, D. Fontenille. Vectors of Chikungunya virus in Senegal: current data and transmission cycles. C. Chevillon, L. Briant, F. Renaud, C. Devaux. The Chikungunya threat: an ecological and evolutionary perspective. R.G. Carvalho, R. Lourenço-de-Oliveira, I.A. Braga. Updating the geographical distribution and frequency of Aedes albopictus in Brazil with remarks regarding its range in the Americas. F.A. Monteiro, R. Schama, A.J. Martins, A. Gloria-Soria, J.E. Brown, J.R. Powell. Genetic diversity of Brazilian Aedes aegypti: patterns following an eradication program. M.R. Nunes, N.R. Faria, J.M. de Vasconcelos, et al. 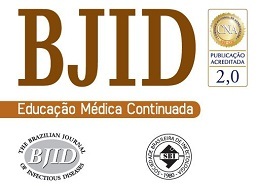 Emergence and potential for spread of chikungunya virus in Brazil. I. Schuffenecker, I. Iteman, A. Michault, et al. M. Sourisseau, C. Schilte, N. Casartelli, et al. Characterization of reemerging chikungunya virus. Z. Her, B. Malleret, M. Chan, et al. Active infection of human blood monocytes by Chikungunya virus triggers an innate immune response. Biology and pathogenesis of chikungunya virus. N. Wauquier, P. Becquart, D. Nkoghe, C. Padilla, A. Ndjoyi-Mbiguino, E.M. Leroy. The acute phase of Chikungunya virus infection in humans is associated with strong innate immunity and T CD8 cell activation. A. Chow, Z. Her, E.K. Ong, et al. Persistent arthralgia induced by Chikungunya virus infection is associated with interleukin-6 and granulocyte macrophage colony-stimulating factor. A. Mohan, D.H. Kiran, I.C. Manohar, D.P. Kumar. Epidemiology, clinical manifestations, and diagnosis of Chikungunya fever: lessons learned from the re-emerging epidemic. Mucocutaneous features of Chikungunya fever: a study from an outbreak in West Bengal, India. Rampal, M. Sharda, H. Meena. Neurological complications in Chikungunya fever. P. Mahendradas, K. Avadhani, R. Shetty. Chikungunya and the eye: a review. J.K. Sarkar, S.N. Chatterjee, S.K. Chakravarti, A.C. Mitra. Chikungunya virus infection with haemorrhagic manifestations. X. Fritel, O. Rollot, P. Gerardin, Chikungunya-Mere-Enfant Team, et al. Chikungunya virus infection during pregnancy, Reunion, France, 2006. D. Ramful, S. Sampériz, X. Fritel, et al. Antibody kinetics in infants exposed to Chikungunya virus infection during pregnancy reveals absence of congenital infection. P. Gérardin, G. Barau, A. Michault, et al. A. Chopra, V. Anuradha, V. Lagoo-Joshi, V. Kunjir, S. Salvi, M. Saluja. Chikungunya virus aches and pains: an emerging challenge. F. Simon, E. Javelle, M. Oliver, I. Leparc-Goffart, C. Marimoutou. G. Borgherini, P. Poubeau, A. Jossaume, et al. Persistent arthralgia associated with chikungunya virus: a study of 88 adult patients on reunion island. S.D. Thiberville, V. Boisson, J. Gaudart, F. Simon, A. Flahault, X. de Lamballerie. Chikungunya fever: a clinical and virological investigation of outpatients on Reunion Island, South-West Indian Ocean. C. Schilte, F. Staikowsky, T. Couderc, et al. P. Gérardin, A. Fianu, A. Michault, et al. J.J. Hoarau, M.C. Jaffar Bandjee, P. Krejbich Trotot, et al. Persistent chronic inflammation and infection by Chikungunya arthritogenic alphavirus in spite of a robust host immune response. D. Mavalankar, P. Shastri, T. Bandyopadhyay, J. Parmar, K.V. Ramani. Increased mortality rate associated with chikungunya epidemic, Ahmedabad, India. An epidemic of virus disease in Southern Province, Tanganyika Territory, in 1952–53. I. Clinical features. C. Bhagwati, M. Madhulika, K.D. Mehta, Y.S. Goswami. Profile of the chikungunya infection: a neglected vector borne disease which is prevalent in The Rajkot District. M.M. Thiboutot, S. Kannan, O.U. Kawalekar, et al. Chikungunya: a potentially emerging epidemic?. G. Rezza, L. Nicoletti, R. Angelini, CHIKV study group, et al. M. Fischer, J.E. Staples, Arboviral Diseases Branch, National Center for Emerging and Zoonotic Infectious Diseases, CDC. Notes from the field: chikungunya virus spreads in the Americas – Caribbean and South America, 2013–2014. D. Ruiz-Moreno, I.S. Vargas, K.E. Olson, L.C. Harrington. Modeling dynamic introduction of Chikungunya virus in the United States. Chikungunya virus transmission found in the United States: US health authorities brace for wider spread. Aedes albopictus in the United States: ten-year presence and public health implications. K.A. Tsetsarkin, D.L. Vanlandingham, C.E. McGee, S. Higgs. A single mutation in Chikungunya virus affects vector specificity and epidemic potential. M. Dash, I. Mohanty, S. Padhi. Laboratory diagnosis of chikungunya virus: do we really need it?. M. Panning, K. Grywna, M. van Esbroeck, P. Emmerich, C. Drosten. Chikungunya fever in travelers returning to Europe from the Indian Ocean region, 2008. B. Pastorino, M. Bessaud, M. Grandadam, S. Murri, H.J. Tolou, C.N. Peyrefitte. Development of a TaqMan RT-PCR assay without RNA extraction step for the detection and quantification of African Chikungunya viruses. F. Burt, W. Chen, S. Mahalingam. Chikungunya virus and arthritic disease. M.N. Pyndiah, V. Pursem, G. Meetoo, et al. Chikungunya virus isolation using simplified cell culture technique in Mauritius. World Health Organization. Guidelines on clinical management of Chikungunya fever. Available here: http://www.wpro.who.int/mvp/topics/ntd/Clinical_Mgnt_Chikungunya_WHO_SEARO.pdf [accessed 10.12.15]. W. Taubitz, J.P. Cramer, A. Kapaun, et al. Chikungunya fever in travelers: clinical presentation and course. Ribavirin therapy for Chikungunya arthritis. Chloroquine phosphate treatment of chronic Chikungunya arthritis. An open pilot study. X. De Lamballerie, V. Boisson, J.C. Reynier, et al. Chikungunya virus: an update on antiviral development and challenges. D. Parashar, M.S. Paingankar, S. Kumar, et al. Administration of E2 and NS1 siRNAs inhibit chikungunya virus replication in vitro and protects mice infected with the virus. T. Couderc, N. Khandoudi, M. Grandadam, et al. Prophylaxis and therapy for Chikungunya virus infection. P. Pal, K.A. Dowd, J.D. Brien, et al. Development of a highly protective combination monoclonal antibody therapy against Chikungunya virus. A report of 21 cases of rheumatoid arthritis following Chikungunya fever. A mean follow-up of two years. Centers for Disease Control and Prevention. Chikungunya virus – prevention. Available here: http://www.cdc.gov/chikungunya/prevention/. Reflections on the emergence of chikungunya virus in the United States: time to revisit a successful paradigm for the safety of blood-derived therapies. D.O. Carvalho, A.R. McKemey, L. Garziera, et al. Suppression of a field population of Aedes aegypti in Brazil by sustained release of transgenic male mosquitoes. P.A. Rudd, A.P. Raphael, M. Yamada, et al. Effective cutaneous vaccination using an inactivated chikungunya virus vaccine delivered by Foroderm. K. Ramsauer, M. Schwameis, C. Firbas, et al. L.J. Chang, K.A. Dowd, F.H. Mendoza, VRC 311 Study Team, et al. Safety and tolerability of chikungunya virus-like particle vaccine in healthy adults: a phase 1 dose-escalation trial. R. Edelman, C.O. Tacket, S.S. Wasserman, S.A. Bodison, J.G. Perry, J.A. Mangiafico.